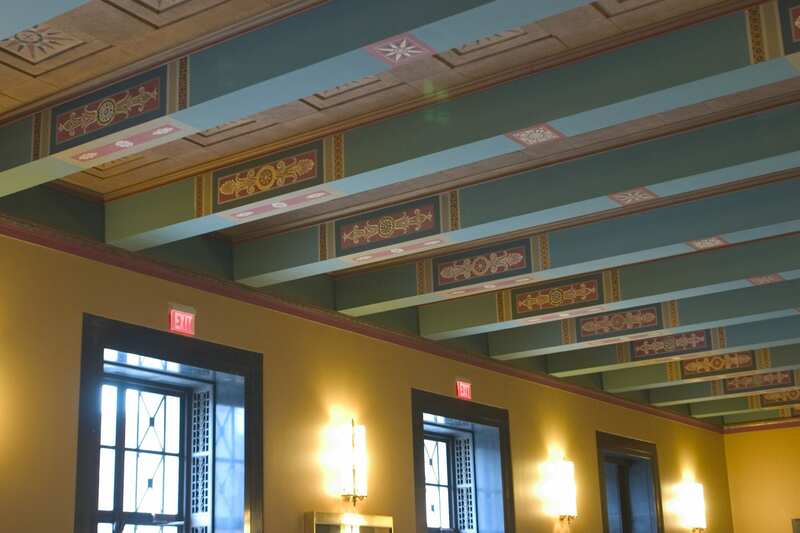 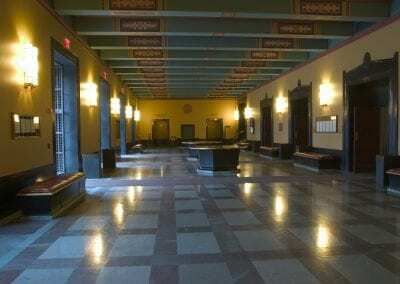 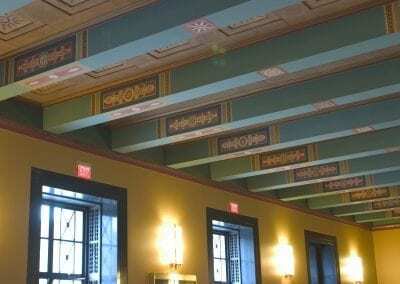 The Main Lobby of the Rackham Building (located just inside the Washington Street entrance) is the perfect location for receptions and refreshments for events held in the Auditorium. 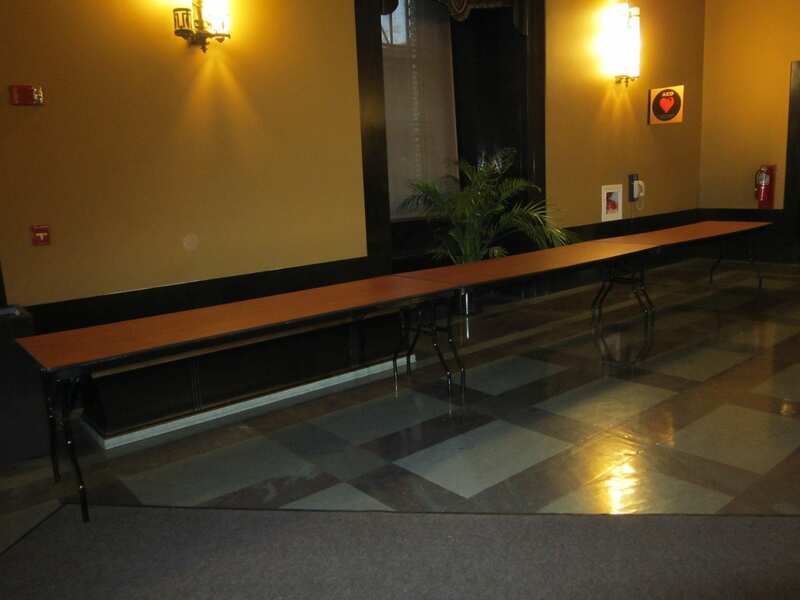 For most receptions, groups utilize the two large pedestal tables located in this area (additional folding tables can be added if necessary). The lobby is also the ideal location to use as a registration area for conferences being held in the Auditorium. 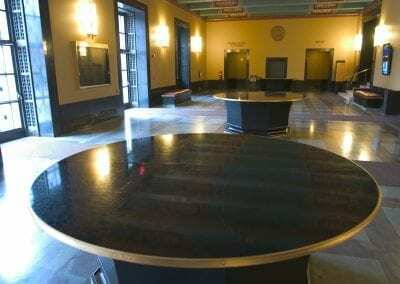 The Lobby cannot be reserved for receptions unless the Auditorium is also booked (see Auditorium). Groups using the fourth floor can setup registration tables in the Lobby as long as it is not reserved for a reception by a group using the Auditorium. 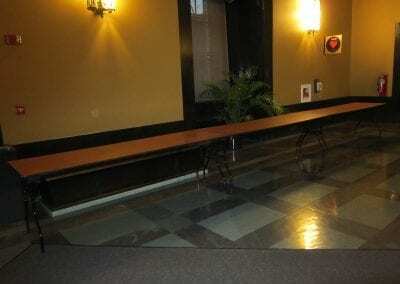 If a group using the Auditorium wishes to reserve the Lobby for a reception, it must be booked separately. 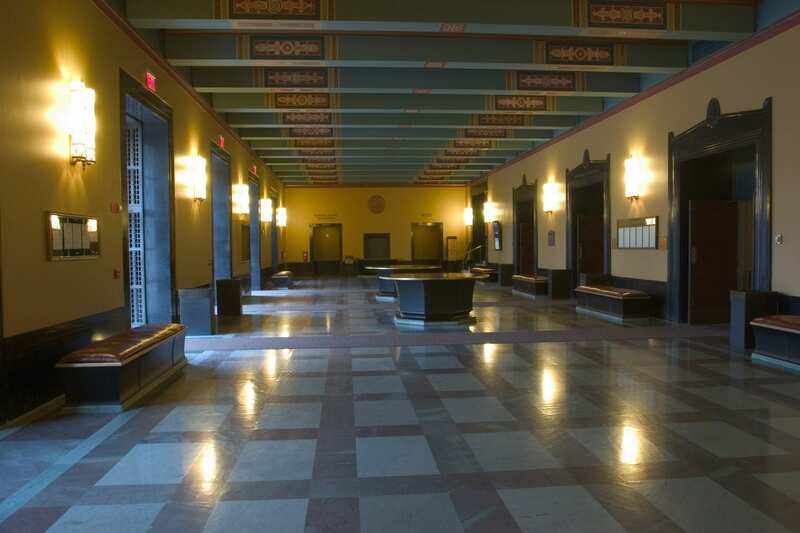 While groups are allowed to use the Lobby for registration, refreshment, or reception purposes, this area is the main entrance for the building; access to the building must remain available at all times. 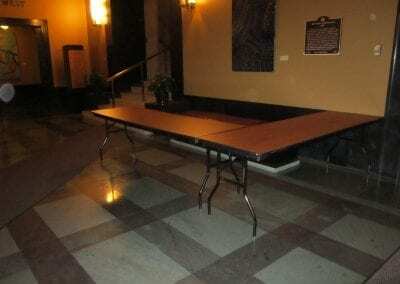 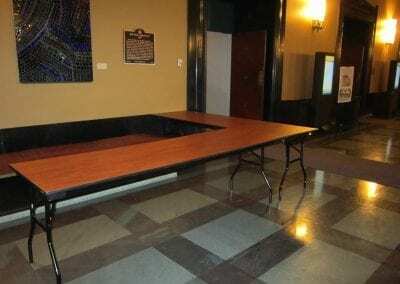 Additional tables may only be placed around and parallel to the perimeter of this room. 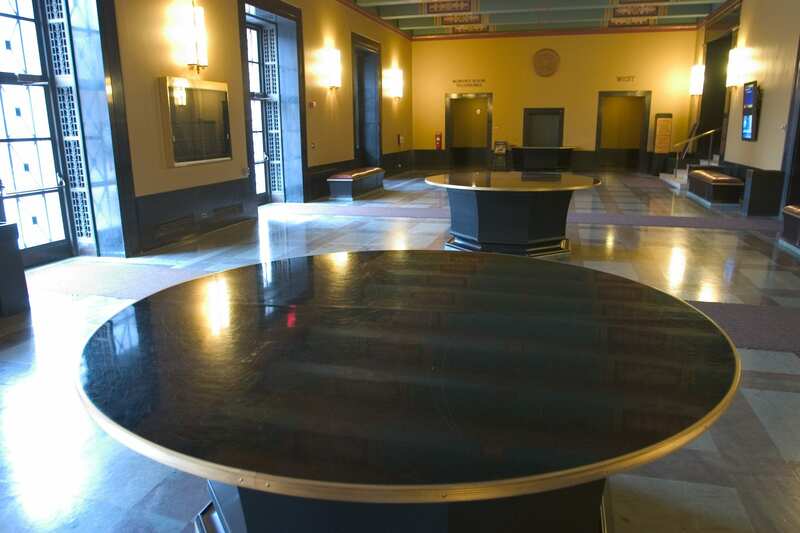 The two large pedestal tables in the lobby cannot be moved or removed.